Birth injury lawyer is the last term any parent would like to hear before the birth of a child. This special occasion has been anticipated by parents and nothing can take that joy away. When tragedy hits, however, and a newborn is diagnosed with a birth injury, parents start to question how this could have happened and ponder about the future. A birth injury occurs before or during childbirth and in many cases, could have been preventable. For every 1,000 newborns, seven are injured during labor and delivery. This injury results in families struggling emotionally and financially to deal with the associated hardships. The attorneys and staff at The Rothenberg Law Firm understand these hardships and are there for parents every step of the way. We realize that our role as birth injury attorneys goes well beyond the courtroom. Our attorneys have been successful in winning multi-million dollar awards for our clients for decades. In addition to our ability to zealously represent you and your child, we also recognize the need to be sensitive to the difficulties you and your child are facing on a daily basis. Our goal in representing you is to make sure you receive the highest compensation possible as well as the best care for yourself and your child outside of the legal arena. ***Your initial consultation is always free. We do not take any fee from you unless we are successful in winning money for you and your child. ****You can call our office and ask to speak with one of our female or male attorneys or staff members who are parents themselves and can relate to the difficulties you may be facing. ****We will consult with medical experts on your behalf to determine if your child’s injury could have been prevented. Birth injuries can be caused before, during, and after a child’s birth. There are many reasons why birth injuries occur, even if the baby’s mother had a healthy pregnancy. Inadequate planning for delivery by a medical professional. Exposing the fetus to dangerous workplace chemicals by the birthmother. Some prescription drugs taken by the mother before or during pregnancy. Negligent care by a doctor, midwife, or nurse during labor and delivery. 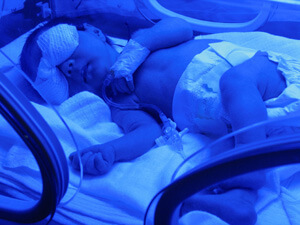 Lack of sufficient oxygen to the baby’s brain during labor and delivery. Attempting vaginal delivery for a baby with a high birth weight that may be too large for vaginal birth. Baby presenting in a position other than headfirst during delivery can also cause complications. How Can a Birth Injury Attorney Help? Due to the complexities of birth injuries and the financial responsibilities related to the injuries, parents may feel overwhelmed and saddened by the circumstances. A skilled birth injury lawyer can help ease some of this burden by providing sound legal advice and helping obtain financial compensation to pay for the numerous medical expenses. By finding an attorney experienced with birth injuries, you will be able to get the support that you need to make it through this difficult time. Consider a consultation with an attorney at our firm today. We are a family of attorneys who have handled birth injury cases for over 4 decades. Your initial consultation is always free and we will handle your case with great care and attention to you and your child’s needs.